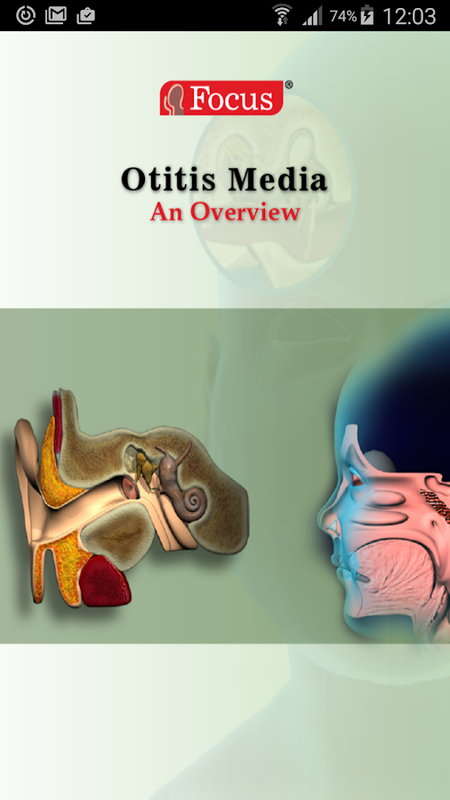 The Otitis Media App - helps in understanding the diseaseconditionthrough ANIMATED VIDEOS. This animation discusses thecausesleading to Otitis media, one of the most commonlydiagnosedchildhood illnesses, its symptoms, diagnosis andtreatment. Benign Prostatic Hyperplasia (BPH) app - helps in understanding thedisease condition through ANIMATED VIDEOS. This presentationdemonstrates the male reproductive system and the location of theprostate gland, the changes that take place during BPH, its causes,symptoms, consequences, diagnoses, treatments/therapies (includinglifestyle change and self care).Editor: C. R. Chapple, MD, FRCS (Urol) - Dept. of Urology,Sheffield Teaching Hospitals NHS Foundation, The Royal HallamshireHospital, UKApp features• Pay once and download videos at your ease!• View downloaded videos without internetAdditional features include:- Drawing on the video for explanations- Capture images with mailing option- Option to make user notes and save- Transcript with links for additional referencesDISCLAIMER: The information provided through these applicationsare only intended to be informative and should not be construed asa substitute for medical advice. A sound knowledge of the structure and function of the human bodyin all of its intricacies is the foundation of medical education.The Focus ANIMATED ESSENTIAL ATLAS OF ANATOMY AND PHYSIOLOGY is onesuch tool that provides enormous ways to learn, review and teachthe human anatomical systems and their physiology. As a learningtool it is the first of its kind to provide in depth details aboutthe systems covered through 3D animation of OVER 200 MINUTES. Thesystems are elucidated through very graphic, life-like animations.Such a learning tool has never been attempted before and is idealfor e-learning.In this Animated Atlas the anatomy and physiology isorganized according to the biological systems of the human body.TheAtlas deals with the biology of ALL essential body systems andhelps any student of medicine to cope with their peers.The FocusAnimated Essential Atlas of Anatomy and Physiology includes a fullchapter on: -Cell – the Building block of Life -Circulatorysystem-Digestive & Excretory Systems-Endocrine System-ImmuneSystem-Integumentary System-Muscular System-NervousSystem-Reproductive System-Respiratory System-Skeletal SystemsImportant Features-The powerful 3D animations accompanied bynarration impacts the viewer instantaneously.-Each system is dealtas a chapter which provides all the details required forunderstanding how that system functions.-The Atlas is user-friendlyand allows for easy navigation to any section anytime.-An excellentand MUST REFERENCE material for understanding human anatomy andphysiology. -It helps to better understand and communicate in-depthinformation about the human anatomical systemLearning about humansystems, their anatomical positions and functions was never soeasy! The FOCUS CONCISE ANIMATED DICTIONARY OF CARDIOLOGY is the firstever animated dictionary in the subject. A valuable reference forphysicians and students alike, it covers over 365 Cardiology &related terms. All the definitions are explained through 3Danimated videos.The Focus Concise Animated Dictionaries are theworld’s first ever comprehensive animated dictionaries in anydiscipline. Dictionaries that provide definitions of medical termsusing lifelike 3D animations apart from text is a long felt need inthe medical sciences and these Concise Animated Dictionaries fulfilthat need quite effectively. They cover a range of medical terms ineach discipline, making them a complete reference source. Thesedictionaries are user friendly, and arranged alphabetically makingsearch quite easy. Being unique visual dictionaries, they areexcellent reference sources for health professionals, students andhealth consumers. The videos play independent of the internet oncedownloaded. The FOCUS Animated Pocket Dictionary of Hematology, the first everanimated dictionary in the subject, fills that void quiteeffectively. A must-have resource for physicians and students whowould greatly benefit from this module, it covers 99 hematologyrelated terms and definitions. All the definitions have beengraphically described with the help of 3D animations and areaccompanied by text definitions. Hematology, the branch of medicinedealing with the different blood cells, their formation, functionsand associated diseases, as also the diagnosis and treatment ofthese diseases, arouses interest when teaching is assisted bygraphical representations of the structure of the cells, theirfunctions and pathophysiological processes that lead to diseasedevelopment. The FOCUS Animated Pocket Dictionary of Neurology and Psychiatry,the first ever animated dictionary in the subject, fills the voidquite effectively. A must-have resource for physicians and studentswho would greatly benefit from this module, it covers 80neuropsychiatry related terms and definitions. All the definitionshave been graphically described with the help of 3D animations andare accompanied by text definitions. This free app has 5 Videos, tosee the complete list please 'buy' and download to play independentof the internet. This App contains various health care tips about weight loss,weight gain, beauty tips, hair loss, Family doctor tips etc. All ofthe main diseases and their causes, sign & symptoms, diagnosistest, prevention tips, complications, and Treatment information.Are you facing health issues? Find health and fitness tips to stayactive and healthy all through your life. In this app you will getprevention tips of some general and major health problem, so youcan take care of your health form major diseases like - - HeartAttack - Low Blood Pressure - High Blood Pressure - Liver - Asthma- Cough - Throat Infection - Headache - Bee Sting - Neck & BackPain etc. ENT Atlas & Treatment Provide overview of Ears, Nose and throatdisease with Treatment of the pathological finding including:Anotia Peri-auricular fistula Bat Ear ( Protruding Auricle)Accesspry auricles Peris auricular sinus Peri auricular cystHematoma of the auricule Microtia Rodent Ulcer Foreign Body Ofexternal Canal Wax Otomycosis Aspergillus Otitis media Sub totalperforation among others.